"Chess school 5" represents continuation of the series of books written for young chess players. This series is a result of author’s work on improvement with a large number of ‘‘students’’ – young chess players, so it was a great pleasure for me that the first book of Chess School series saw the light at European Youth Chess Championship in Herceg Novi in 2005. That was the first official book in the history of European Youth Chess Championships while Chess School 2 and 3 were also official books of European Youth Chess Championships in 2006 and 2008 which also took place in Herceg Novi. Chess School 4 was promoted in Albena Bulgaria, in 2011 as official book of that European Youth Chess Championship. "Chess School" project consists of five books and the book which the readers have before them is the last one in the series. 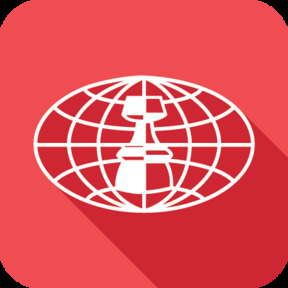 Like the previous books, Chess school 5 consists of three parts. The first part deals with queen endings. The system of work and studying of this type of endings are explained, the basic principles and game plans are laid out. Some analyses and evaluations of critical positions often cited in chess literature have been corrected in a number of places. The second part of the book is the chapter "Wonderful world of chess combinations"; here, a new theory of combinations and classification is presented, one that takes Botvinnik’s definition of a chess combination as the starting point. More complex groups of combinations in which several pieces and pawns are sacrificed are presented here. in several places analyses of some classical combinations have been corrected. The third part contains strategic motifs. In this part of the book we talk about improvement in the initial phase of the game – in the opening. In a variant of Caro-Kann defence we highlight the unbreakable tie between the opening and the ending. Particular attention is devoted to typical strategic lines in the said opening. We laid out the basic principles and game plans in this type of ending based on examples from practice. We explain that the starting point in studying an opening lies in studying the typical endings in that opening. 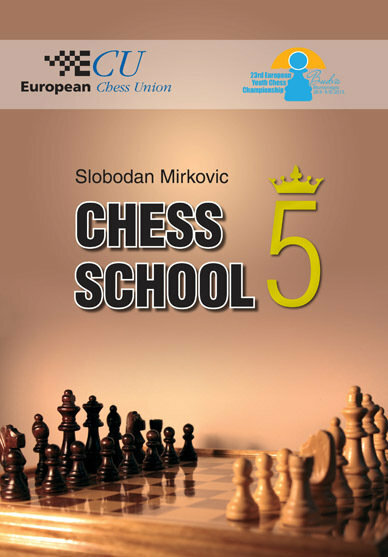 The book "Chess School 5" continues the cooperation with the organizers of European Youth Chess Championships Budva 2013, which makes the author particularly happy. 1. Pushing the king of the weaker side back is carried out with queen.